I love how I'm awkwardly facing towards my right in all these pictures. Maybe I subconsciously think it's my good side but that has yet to be decided. I'm feeling pretty exhausted right now and I don't think I'll get a good night's sleep until this week is over. Getting 6 hours of sleep is miraculous these days and I've been averaging 5 hours of sleep every night. There's just so much to get done! If only I could function just fine without any sleep instead of passing out in every single one of my classes. I need to get it together. 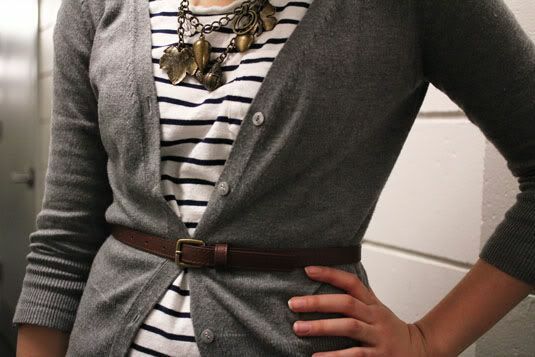 I love the belted sweater and striped shirt! I like these pictures in the hall actually, I love how the walls lead up to you...very cool! have a great day anyway! you look perfect. i love your blog !!! Another cute everyday outfit! Love it! Cute outfit. Definitely am loving those shoes! It's great when you find the chance to finally wear a pair of shoes that have been waiting to be worn! I love this outfit. And looking toward the side...your subconscious must know that everyone looks thinner from the side. When I take pics head on, they are never as good as from the side. 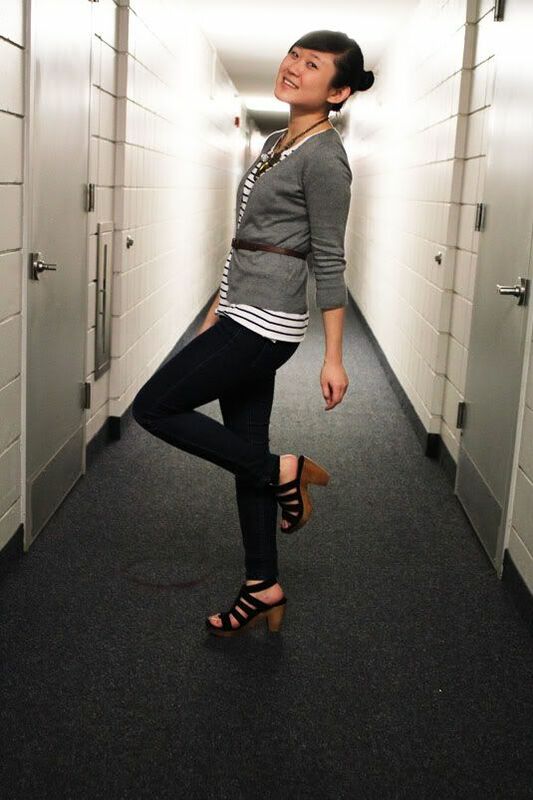 Such a cute, casual outfit! Glad you're as ready for Spring as I am and you didn't put socks with sandals, although I'm still debating on whether or not to try it. great outfit. love your shoes. I've been living in a similar outfit this week as I'm trying to cram for my midterm. 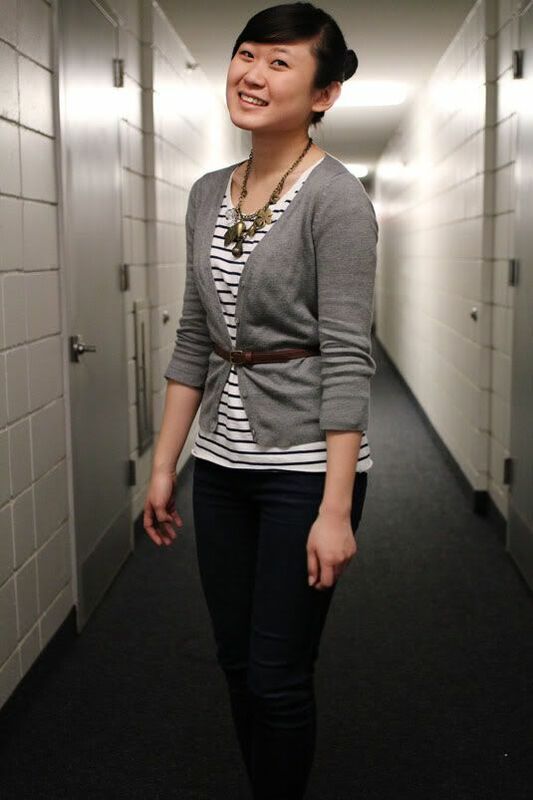 You look great with your hair up like that Jen :) I love how you added a bit of stylin' with that necklace! I miss this hallway and of course you you you!! !